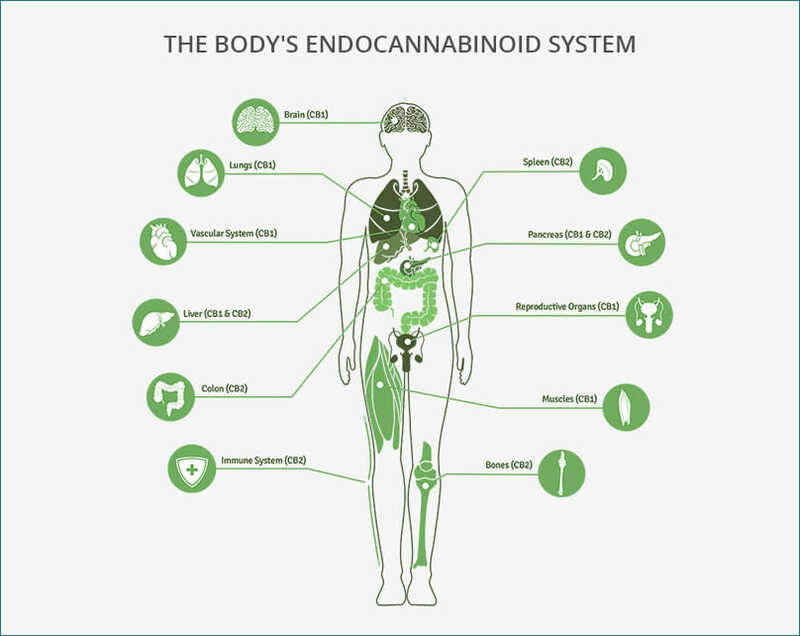 The Endocannabinoid System – What Is It and Why Is It Important? The endocannabinoid system (ECS) is an amazing biological system that exists within our body, as well as in all invertebrate species. It is believed to have evolved around 600 million years ago, and is comprised of cell receptors, endocannabinoid molecules to activate the receptors, and enzymes to break down the molecules once they have been used. This amazing internal system interacts with the active compounds in the cannabis plant, such as THC, CBD and lesser known cannabinoids like CBN. Without the endocannabinoid system, cannabis wouldn’t get you high, nor would it have so many profound therapeutic benefits. The discovery of the endocannabinoid system came as a development after the discovery of plant cannabinoids. Raphael Mechoulam first scientifically found THC in the 1960s. His findings caused a rush to find out how the molecule worked, and whether the body naturally produced anything similar. It wasn’t until the 1990s that the same researcher found evidence of internal cannabinoids. Mechoulam found that the body had a system that THC interacted with, and that similar cannabinoids produced within the body interacted with the same system. There’s more to the ECS than its interaction with the cannabis plant. The body produces its own endocannabinoids (‘endo’ means within), and these too interact with the cannabinoid receptors in the body and brain. Endocannabinoids act as messengers to signal to the body to keep vital processes in balance. The Endocannabinoid system is concerned with the overall homoeostasis of many physiological functions. It helps to regulate sleep, appetite, immune responses, mood, pain, pleasure, memory, motor control, cellular health and more, and aims to keep the whole biological system working coherently and holistically. That is why the endocannabinoid system is now an emerging focus of pharmacotherapy. It’s quite amazing to think that the body has a system for regulating itself. The fact that this system also interacts with the cannabinoids found within the cannabis and hemp plant, explains why there are so many medical applications and health benefits associated with CBD oi l and other supplements. Cell receptors receive signals and communicate to the inside of cells to elicit a certain response. They are activated by the right molecules. The two primary cannabinoid receptors in the ECS are named CB1 and CB2. CB1 is abundant in the nervous system and brain, and has been linked to the moderation of pain and inflammation, regulation of the activity of neurons, modulation of seizures, and motor control and more. THC, one of the main cannabinoids in the cannabis plant, binds directly with the CB1 molecule, causing psychoactive as well as healing effects. CB2 is not found so much in the brain and spinal cord, but is found in abundance in immune cells, the peripheral nervous system and peripheral organs like the spleen. 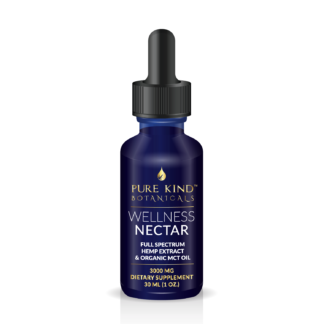 It is keyed to CBD, and has anti-inflammatory and immune boosting effects on the body. The main endocannabinoids (cannabinoids that are made naturally within the body) that have been identified and studied so far are anandamide and 2-AG. Anandamide is also known as the ‘bliss molecule’. It regulates mood, pain, memory and more, and activates the CB1 receptor, the same receptor that is affected by THC. 2-AG is an agonist for both the CB1 and CB2 receptors, and binds fully with the CB2 receptor. It is thought to be the most abundant endocannabinoid in the body, and is responsible for the regulation of the immune system, pain and appetite. Both of these endocannabinoids are produced on demand when needed by the body, and are then broken down by enzymes that function within the ECS, specifically FAAH for anandamide and MAGL for 2-AG. Incidentally, this is the reason why natural endocannabinoids do not ‘get you high’ in the same way as THC – the enzymes do not break down the THC instantly after use, and so it lingers for longer. When the body does not produce enough natural cannabinoids or cannot regulate them properly, whether due to external factors like stress or bad diet, or chronic conditions and pathologies, the body and mind can become more susceptible to illness and imbalances. Homoeostasis is more difficult to achieve. When this happens, medical cannabis and hemp extracts like CBD can be used as a supplement. They interact with and boost the functioning of the endocannabinoid system. THC binds with the CB1 receptor directly. CBD works a little differently. It interacts with a number of receptors in the brain, but not directly with the CB1 – therefore it doesn’t get you high! It actually moderates the effect of THC by knocking it away from the CB1 receptor, and therefore has anti-psychotic functions. CBD also prevents the enzyme FAAH from breaking down anandamine too quickly, and makes more available for cells to use. With more natural endocannabinoids available, CBD acts as a natural mood enhancer with many therapeutic benefits, such as in anxiety disorders. This explains why cannabis and hemp-based medicines like CBD can have a positive impact on such a wide range of ailments. By bringing the endocannabinoid system back into optimal functioning, the body becomes more capable of achieving its state of natural homoeostasis.